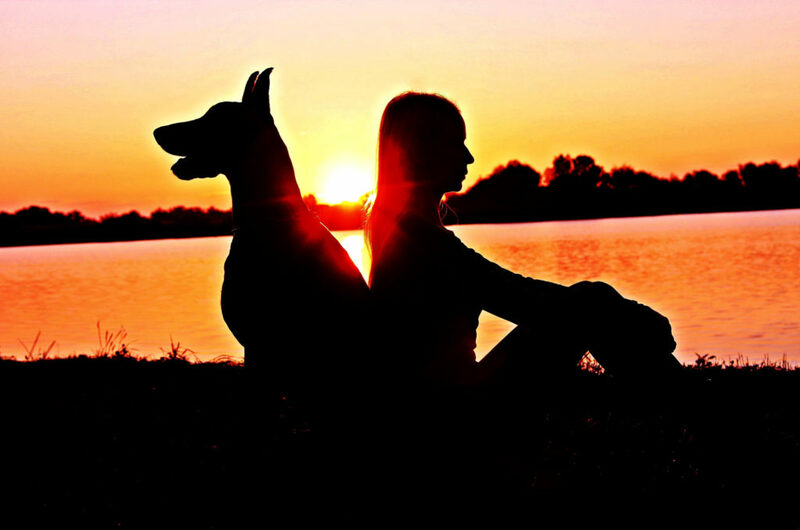 How Training My Dog Helped My Anxiety – ComeHereBoy! We already know that having dogs in our lives makes us feel better. Studies and surveys back this up. Pets are good for your heart, your mind and your general well-being. They even help you make friends. But my dog has saved my life. I struggle with depression, anxiety and bipolar disorder. My life has been very hard sometimes. My dogs would come to me when I had bad days, would snuggle with me, would give me attention. Their unconditional love comforted me and got me through. Having ESA’s (emotional support animals) was beyond helpful for my anxiety, depression and bipolar disorder. There was more they could do for me, though. I had been a dog trainer for 12 years, but when I began to struggle with mental health, I stopped training. I was too tired, too busy, too sad. But one day I heard about psychiatric service dogs. I began to feel hopeful. What if a service dog could help me? I learned that just training, just having a goal to train each day, (even for 5 minutes) made me feel better. Having a small routine with a small goal linked to it helped me feel less lonely, less of a failure and more hopeful. I view my dogs as family members. They rely on me, I rely on them. I love them and I appreciate them. Studies on dog’s brains and behavior shows that they are really similar to us in a lot of ways. They see us as family members, they can read our body language and understand our tone of voice. Like us, they work best with positive reinforcement. We are also connected – our brains both light up in the reward centers when we interact. I’ve found that training my dog reinforces this bond, this connection. When I train my dogs and watch them learn something new, I feel like I helped them. I feel like we had fun together. I also feel good about myself, for accomplishing something. This leads to feeling less annoyed with my dogs, because we worked together. The other wonderful thing about training is that it makes your bond with your dog stronger as they begin to behave better. 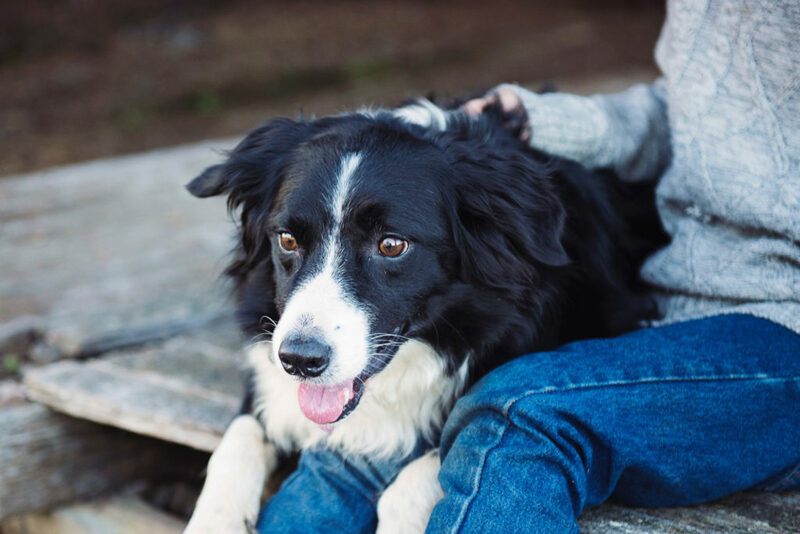 You have a lot more happy thoughts about a well-behaved dog. A dog that’s getting trained every day is a happy dog. A person who trains every day is happy because their dog behaves well and they’re spending time with someone they love, doing something fun. The time spent training together can be a very special and happy space, as long as it’s approached positively and isn’t allowed to get to frustration. The lightbulb didn’t really go off until later. You don’t have to have a fully trained service dog to have a dog do tasks for you. An ESA or family dog or service-dog-in-training can do tasks at home! Can I tell you how very, very helpful this was? Training my client’s dogs to do tasks first is a no brainer now. I’ve written about the tasks dogs can be trained to do for anxiety. 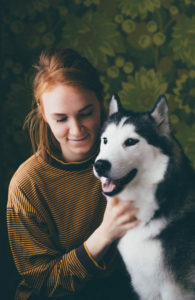 If you’ve got a dog at home already, teaching these types of tasks can take your healing and ability to function to the next level. Tasks like deep pressure therapy are absolutely life-saving when you’re feeling anxious or depressed. It’s amazing what training a dog can do for your mental health. It may not cure you, but it can help you cope so much better. And anyone can do this – you don’t have to be particularly good at dog training, you don’t have to have a special dog. Not only does having a dog make you feel better, but training your dog can enhance that feeling. And if you train your dog to do tasks, it’s just icing on the cake. Train your dog to do tasks for you and I can guarantee, you will feel better in some way. You’ll feel more connected, more happy, more cared for, more calm and more ready to handle life. Training will help you be independent, making you feel empowered and secure. It’s amazing. This is the amazing healing power of training your dog.